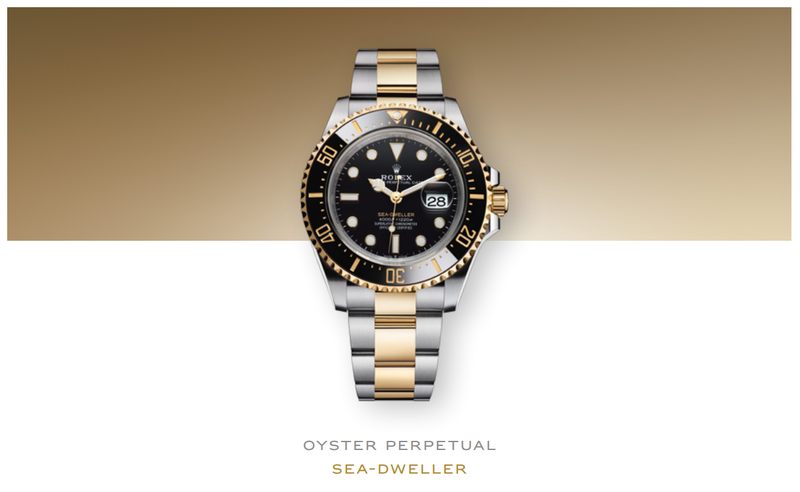 The Oyster Perpetual Sea-Dweller, an ultra-resistant tool watch, has played a vital role in the conquering of the deep. A yellow Rolesor version (combining Oystersteel and 18 ct yellow gold) of the Oyster Perpetual Sea-Dweller brings 18 ct yellow gold to the Sea-Dweller range for the first time. 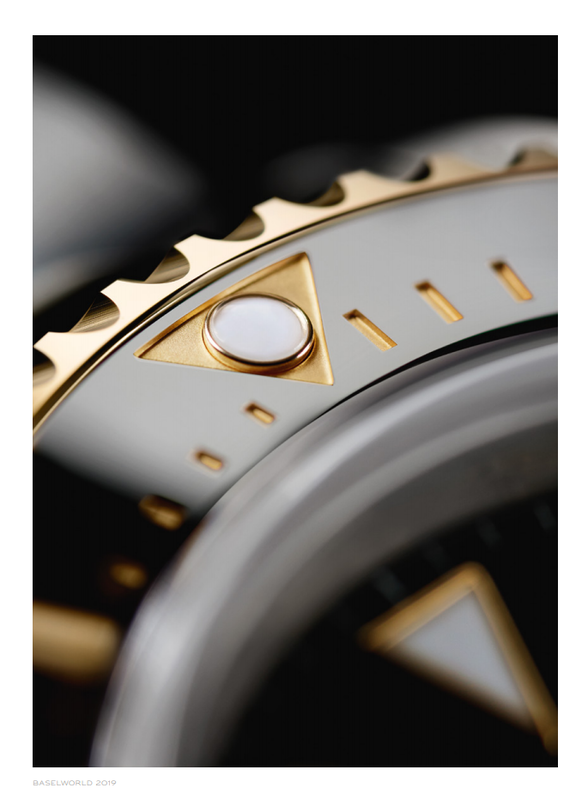 On its black dial, the inscription “Sea-Dweller” is in yellow, mirroring the 18 ct yellow gold. When the Sea-Dweller was updated in 2017, this lettering was in red, in reference to the original model. The light reflections on the case sides and lugs highlight the profile of the Sea-Dweller’s 43 mm Oyster case, which features a unidirectional rotatable bezel with a 60-minute graduated Cerachrom insert in black ceramic. This new version is equipped with calibre 3235, at the forefront of watchmaking technology. 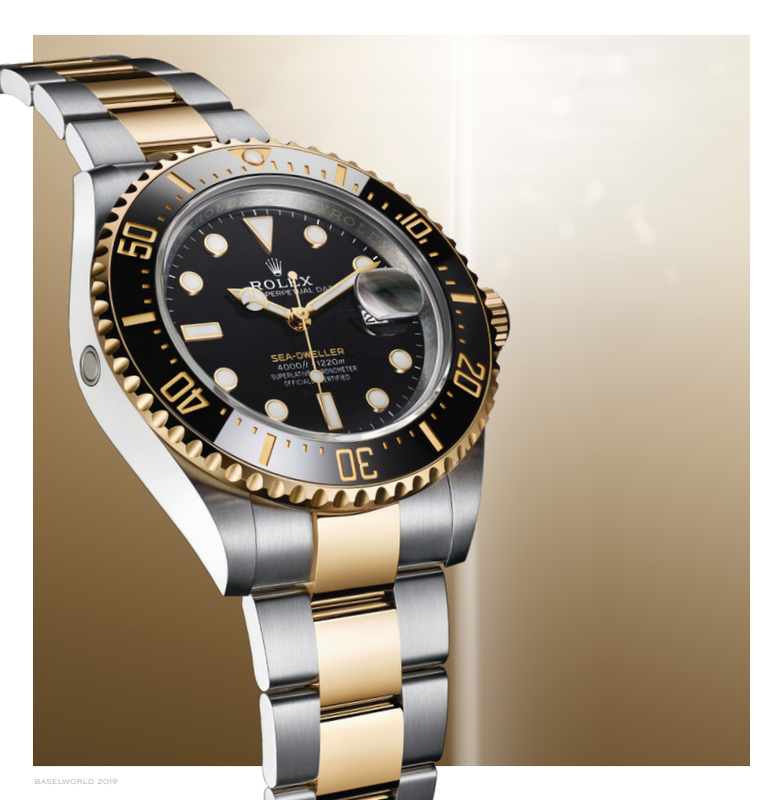 Like all Rolex watches, the Sea-Dweller carries the Superlative Chronometer certification, which ensures excellent performance on the wrist.